Browse > Oxford Brookes Research > Sonic Art Research Unit (SARU) > Sound Diaries > Get Rid! Get Rid! or Cultures of Sound in Grassroots Football is a Sound Diaries project exploring the everyday sounds of grassroots football. Without a particular plan or framework in mind I have been making sound recordings of my experiences as a youth team coach; as a spectator at matches in the North Berks and other local grassroots adult leagues; as a groundsman marking out pitches; and as a member of a club committee. Grassroots Football refers to football played by amateur football clubs at youth and adult level. Locally the Hellenic League is the highest step up the League Pyramid that I will be exploring. Since I began making recordings for this project – and as noted above there has been no particular pattern at play – there have been several notable aspects of the experience. 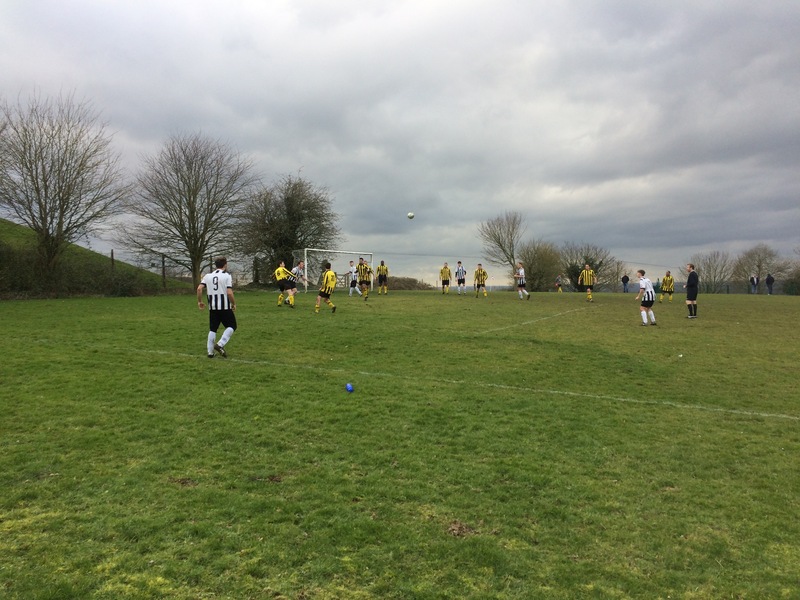 These have included the verbal culture of communication between players, coaches, officials and – when present – spectators; the sound of the line-marker as I repaint the white lines; the sounds of absence as games are postponed and the parish Council pitches fall silent; the sounds of the game – the ball being struck, hitting the woodwork or the net; and the ambient sounds of the sites including birdsong; the white noise of distant roads; the sound of the vibrating air as air traffic passes overhead; and the sounds of the bars and tuckshops that are often the social focal point of the event for the spectators. During the course of the project I have become fascinated by the transformation of quiet parish council run local parks into sites of conflict and exuberant communication. Recordings of these sites will become an integral part of the project – both before, during and after matches. The presence of the marked white lines of the pitch; the goalposts stacked against the pavilion or standing on the pitch in their sockets bereft of their nets; and the grass free zones of the goalmouths and touchlines – where the tread of goalkeepers and assistant referees has been at its most intense; are symbols of the latent soundscapes of frustration, victory, defeat, elation, failure and success immanent in these sites.